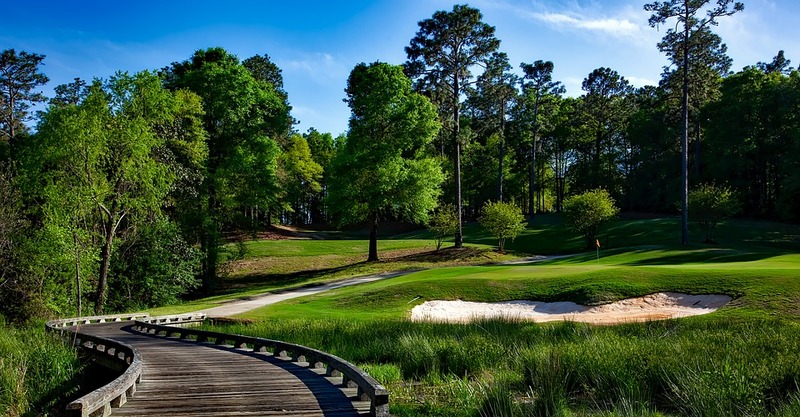 The 2018 RBC Heritage golf tournament on the PGA Tour is taking place this week from April 12-15, 2018, on the Harbor Town Course at the Harbour Town Golf Links located in Hilton Head, South Carolina. Here is a list of the prize money up for grabs for the PGA golfers playing in the 2018 RBC Heritage. The RBC Heritage is an invitational stroke play event limited to 132 players that dates back to 1969. Arnold Palmer was the inaugural winner. Jack Nicklaus won this event in 1975. Tiger Woods has never won this event. Davis Love III holds the record for most wins with five. Wesley Bryan is the defending champion. Total prize money up for grabs at the 2018 RBC Heritage is $6.7 million. That's up 3.1% over the $6.5 million in prize money that was up for grabs in this invitational PGA golf tournament last year. The winner of the 2018 RBC Heritage will earn a cool $1.206 million in prize money. That's up 3.1% over the $1.17 million that Wesley Bryan earned last year when he won this tournament. The win was Bryan's first on the PGA Tour.